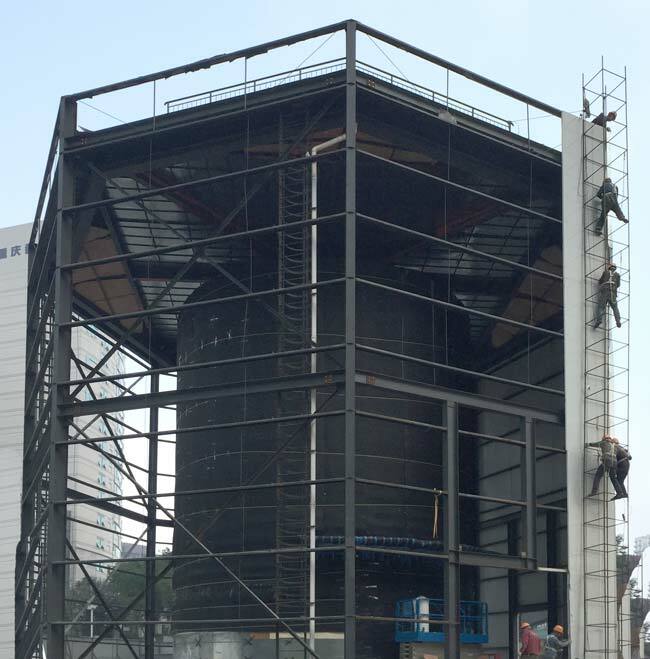 According to a report by ifoAppleStore, Apple is reusing the glass cylinder entrance architecture of the Shanghai store for the Guotai Plaza store now under construction in Chongqing, China. 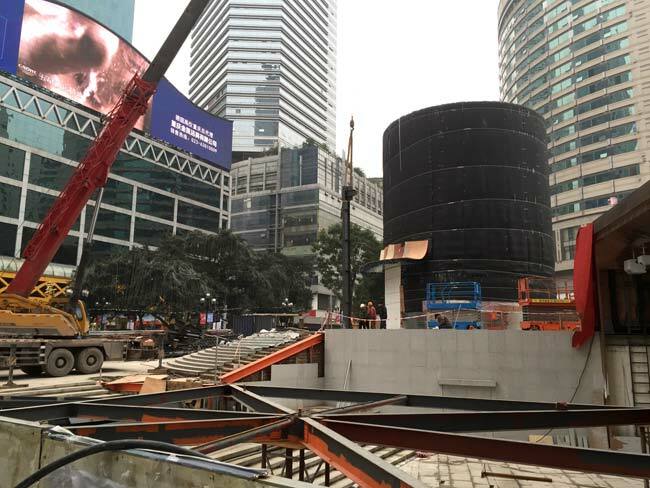 The source notes that the Guotai Plaza store could open by mid-year as part of the company’s major retail expansion plan across the country. The city’s first Apple store opened last July, and a third store is under construction at the MixC shopping center for a first-half grand opening. 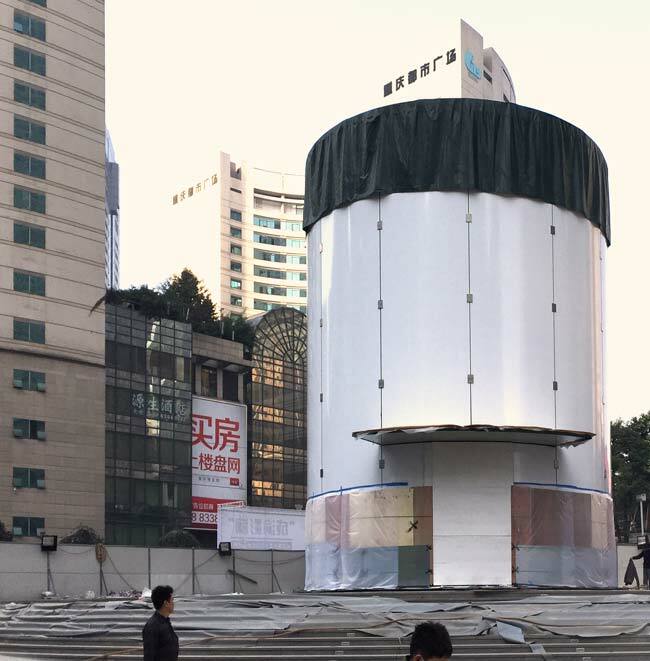 The source details that Guotai Plaza Apple Store’s all-glass cylinder appears to stand some 30 feet high, and will likely hold a staircase and elevator for the underground location, similar to the company’s Pudong store in Shanghai. 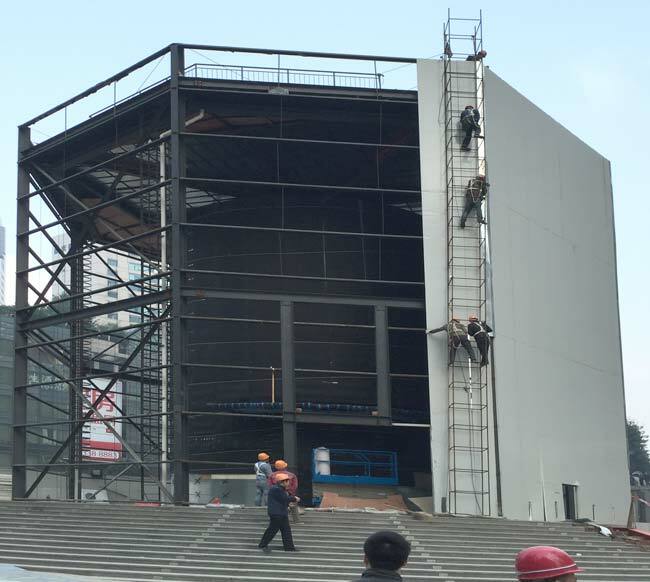 Apple’s new retail store in Chongqing’s Guotai Plaza will be the company’s fourth shot at combining a cavernous underground space with an above-ground landmark, joining stores in New York, Shanghai, and Istanbul.